We're thrilled at the response we've had so far to our request for new people to pick up Design Team applications- thanks to all of you who have brought them in so far, and to those of you who are considering it... please don't hesitate! We LOVE to see your work and so do our customers! I'd like to introduce the newest member of our Design Team (though we're hardly a 'team' yet!) today. We'll be welcoming some more members (hopefully) in August! 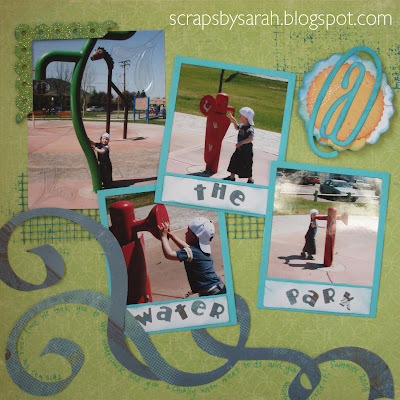 SARAH is an eclectic scrapbooker, stamper & cardmaker who has two adorable little boys: the subject of many great photos and scrapbook pages! It's been a while since we had someone to help us showcase all the BOY products in our store, so we're happy to welcome Sarah to the team! Sarah is a big fan of QuicKutz products and she has recently started her own blog, which you can visit here: scrapsbysarah.blogspot.com. I'm sure she'd love to see you stop by! Here's a few of Sarah's recent projects- this double page layout uses one of the July PageMaps sketches and features the Limited Edition teddy bear by QuicKutz, as well as the 'reuse' and 'yogurt' alphabets! Doesn't this just scream summertime? 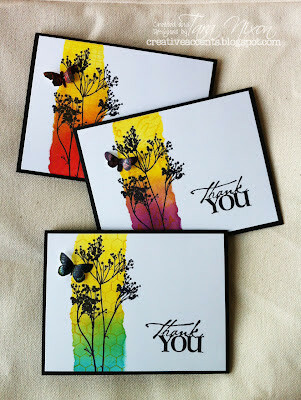 I love Sarah's use of the instant photo & ribbon border dies by QK and the bold splashes of colour! If you look close, you'll see her 'water drops' accenting the large photo. I hope you've enjoyed 'meeting' Sarah today- please leave a comment to welcome her! You can see these layouts in person next time you stop by the store! p.s. we'll be taking applications to join our Design Team all summer long! If the DT sounds like too much for you right now, we'd love to have EVERYONE join our Celebrations Challenge- there will be no judging, and everyone who plays will have a chance to win a $300 prize package!